Consumer Behavior - What Drives Eco-Conscious User & Customer Behavior? 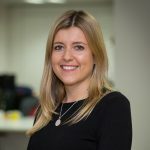 As part of a study carried out by GlobalWebIndex among 2,324 internet users in the UK and U.S.A., this week’s series explores eco-conscious consumerism – specifically, people’s attitudes towards the environment and sustainability, and the appetite for eco-friendly products when making purchasing decisions. Awareness around the environment and sustainability has gained momentum over the last few years influencing consumer behavior. The issue of plastic waste, for example, has become well documented and shared across social media, and there’s been a number of high profile campaigns on the issue – from Sky’s #PassOnPlastic to the #BeatPlasticPollution movement for World Environment Day. About half of the digital consumers we interviewed in the UK and U.S. said they consider the environment when they make a purchase decision. 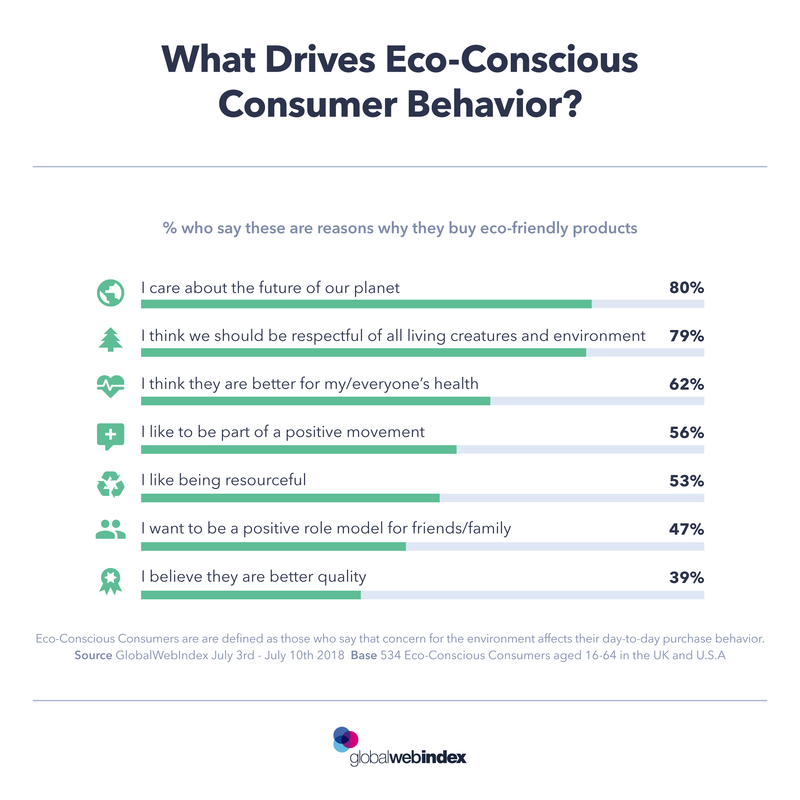 When we ask these consumers why they would buy eco-friendly products over their current product when applicable, it’s sustainability and the environment which are the top motivations. 80% say they make eco-friendly brand choices because they care about the future of the planet, or because they think we should be respectful of the other living creatures in our environment. There are other notable motivations, though. 6 in 10 believe eco-friendly products are likely to be better for their health, while about 40% think they are better quality. Social factors beyond just social class or education level are also important in the decision-making process for buying new products. A fair share also want to be a positive role model for friends or family, perhaps showing that some consumers buy eco-friendly because of the image and social status associated by doing so; it allows them to obtain group influence and be respected by their peers. We see some interesting differences here by age. The results indicate that customer behavior amongst older age groups are more likely to think eco-friendly products are good for their health, while younger groups are more likely to associate them higher-quality. But whilst acknowledging these emotional responses with psychological and personal factors, the proportion who buy eco-friendly products on a regular basis is because they care about the planet is consistently high across all of the age groups in our customer reviews. This movement clearly plays an important role. Brands should be capitalizing on their marketing decisions and strategies to increase market share, influence and understand consumer behavior, facilitate brand loyalty and attract potential customers. Eco-Conscious Consumers are defined as internet users aged 16-64 who say that concern for the environment affects their day-to-day buying decisions.